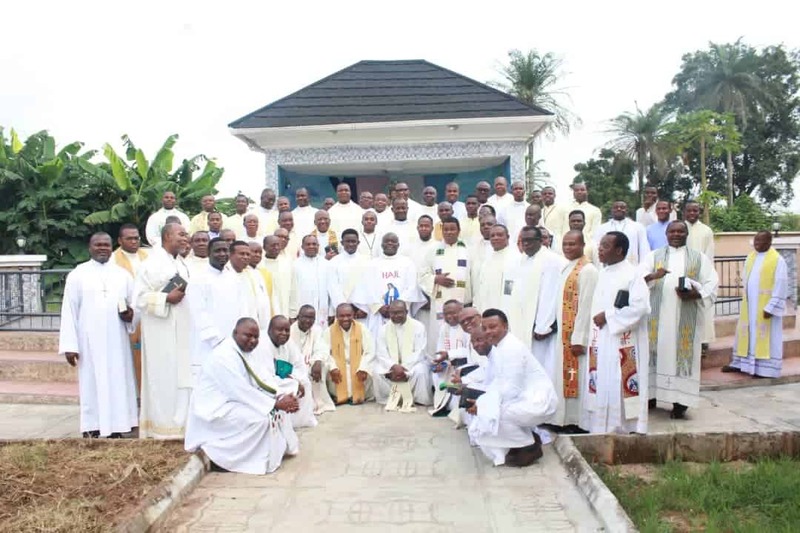 Previous ArticleEast Nigeria Claretians Celebrate the Feast of the Immaculate Heart of Mary. “My adventure into Igbo land in 1986 came as a life turning point. It helped me shell off prejudices attached with people of this part of the country. This event comes as an avenue to thank and commend you people for helping me become what I am today”. This indebted expression was contained homily delivered by the Catholic Bishop of Bauchi, Most Rev. Hilary Dachelem CMF at St. Anthony Mary Claret Parish Area ‘A’ New Owerri, Saturday July 7. 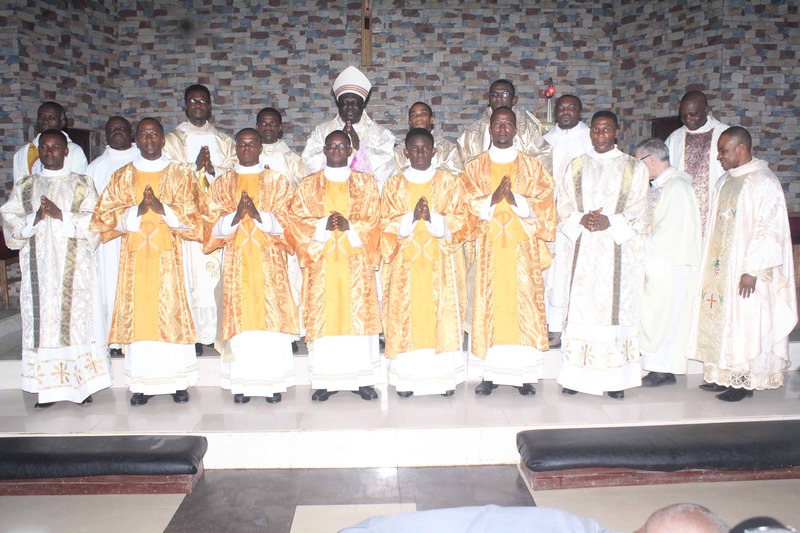 The former parish priest, St. Maria Gorreti Ikenegbu who was recently consecrated bishop visited his Claretian religious home in Owerri where he presided at the ordination of four priests and seven deacons. The new priests are Rev. Fr. Kenneth Kanwa and Rev. Fr. 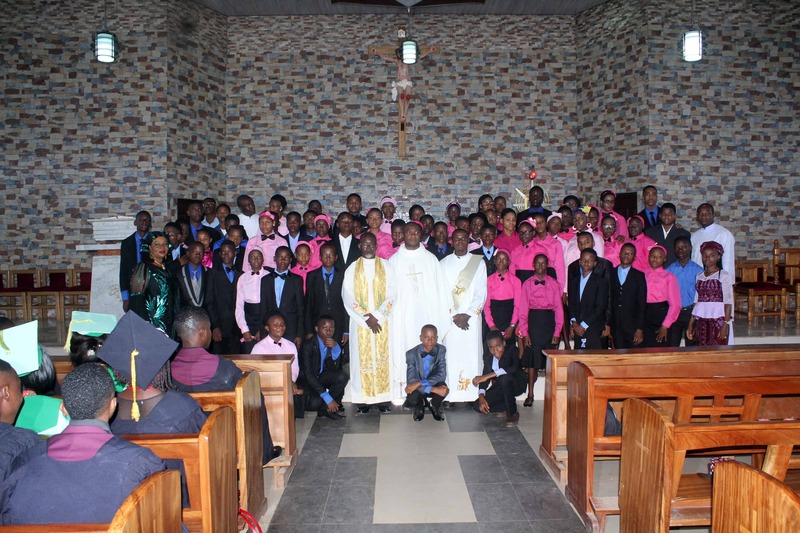 Maximus Okorie for Claretian Congregation, while Rev. Fr. Kenneth Onyecheghe and Rev. Fr. Desmond Opara belong to the Sacred Heart Congregation. 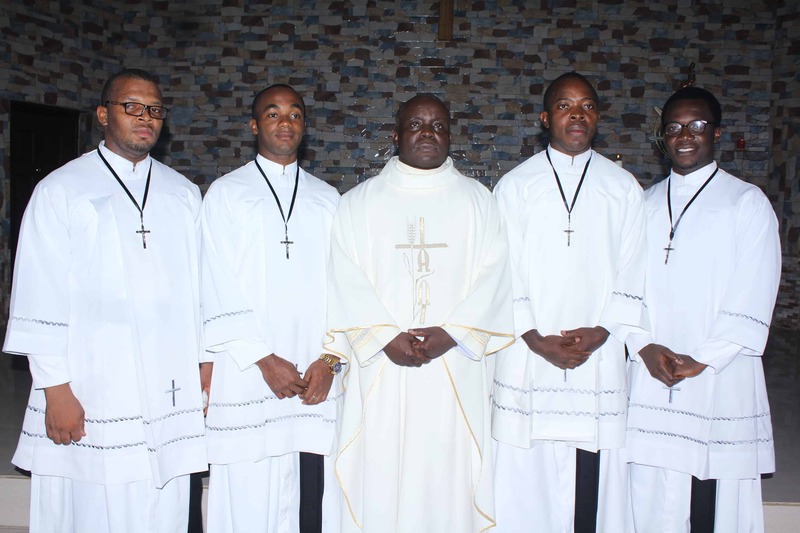 The Deacons are: Henry Ekwem, Henry Leka-Ire, Paul Onele, Peter Onele and Valentine Orazulume (Claretians). Nnaemeka Manu and Emmanuel Iheme (Mother of God Congregation). Preaching to a mammoth crowd of Christ faithful who gathered for the ordination event, Bishop Dachelem who said the visit evoked in him fun memories of Igbo people and their cultural values thanked fellow Claretians, particularly his contemporaries for availing him the opportunity with which he blended and integrated smoothly into their society. While he enthusiastically addressed himself as “Igbo ambassador,” the Bishop noted that the Igbo cultural values demonstrated chiefly during cola-nut presentation to visitors remain one of his captivating notions. “Brothers and sisters your spirit and gesture of acceptance really instilled in me a wonderful impression,” the Northern Nigerian born chief shepherd added, revealing that his seminary formations and priestly years in Igbo land remain experiences he would continue to relive. 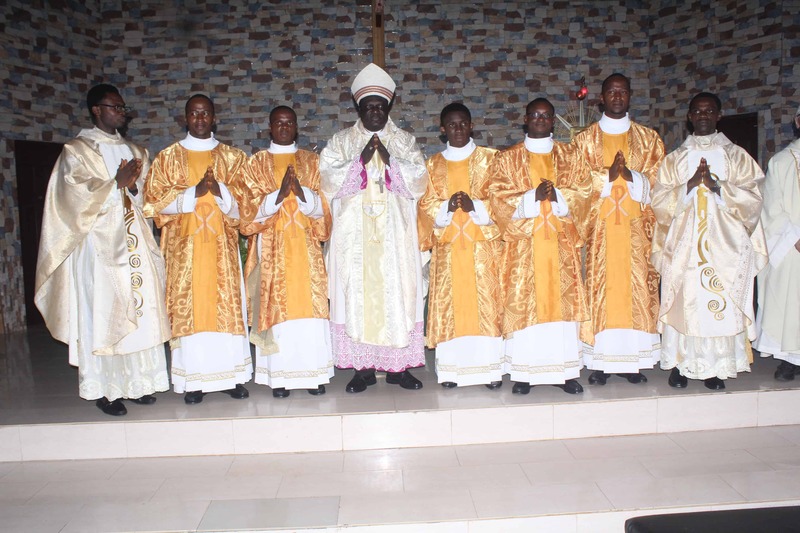 Calling to mind the lingering political crisis in the country which he believed was lack of good leadership direction, the ordaining prelate who was flanked at the Mass by Very Rev. Fr. Simeon Nwobi and Very Rev. Fr. Vincenzo Moninaro regretted that in spite of the highly acclaimed human and natural resources in Igbo land the region was yet to lunch herself into stardom in the nation’s political spectrum. He therefore charged all well meaning sons and daughters of the region to close ranks in order to form one political strong voice. Turning to the newly ordained, the preacher informed them that the life of a priest remains altar centered where he must continue to make himself available for the mission and work of Christ. He advised them to remain humble, obedient in prayers and never shy away from rendering account of stewardship. Shortly before the end of the Mass the Provincial Superior of the Claretian Missionaries, Fr. Nwobi took time to thank the visiting bishop, other priests and entire faithful for their presence and active participation at the Mass. As directed by Rev. Fr. Matthew Iwuagwu CMF, Secretary Claretian Congregation, the event continued shortly after Mass with a concurrent mini-reception exercise.